The study, by Miranda Workman and Christy Hoffman (Canisius College), also looked at preferred features of adoptable cats. Coat colour made a big difference, with cream cats getting adopted in less than ten days, but black or smoke-coloured cats waited 22 days on average. Not surprisingly, younger cats were adopted faster. 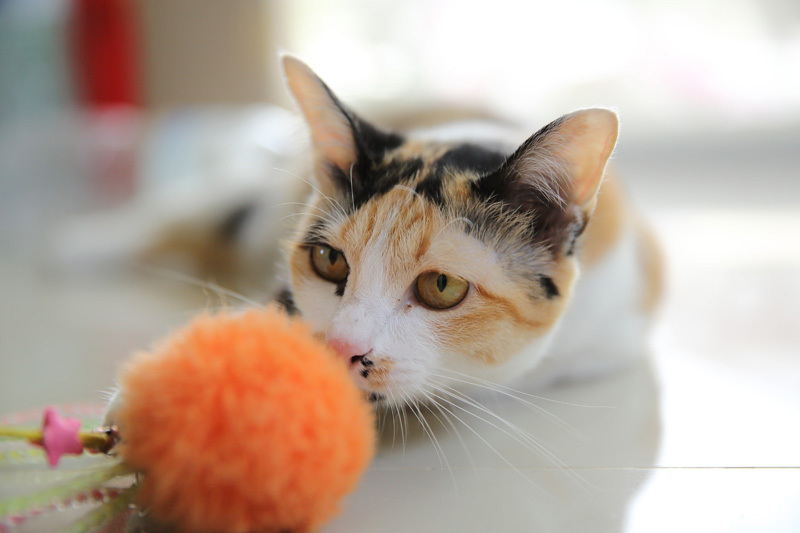 Male cats were adopted slightly faster than females (19 compared to 22 days). The researchers took these features of the cats into account, and then looked to see if there was anything about the photographs that made a difference. The results will surprise many people, because most factors made no difference, including whether the photo showed all of the cat or just the head, was from the side or front, the cat’s ear position, even whether or not the cat was looking at the camera. The thing that did make a difference was whether there was a toy in the photo. These photos were clicked more often, whether or not the cat was interacting with the toy. The study looked at all the cats whose Petfinder profile had at least one click during the study period, and who were available for adoption for at least one full day during this time. This was a total of 892 cats, out of the 3,835 the shelter adopted out that year. 248 people who had adopted cats in the study answered the survey. This research shows how influential the internet profiles of adoptable pets are. A larger study of adoptable dogs in the UK (Siettou et al 2014) showed the importance of highlighting positive features of the animal (such asfriendliness) in the dog's profile. The quality of photographs has also been shown to make a difference for dogs (Lampe and Witte 2014). Although more research is needed on what leads people to adopt shelter animals, it seems that paying attention to both photographs and text in an animal’s internet profile will pay off for shelters. Have you used the internet to find and adopt a pet? Good read. As a cat photographer, this was very interesting. Thanks. My website www.projectcatphotography.co.uk.